Not That Vancouver – Flash! Washington! To the Evergreen State; where recently legalizing a previously prohibited leaf leaves many of the real questions concerning ingestion of a substance still falling on the wrong side of Federal regulation yet to be answered. Americans overwhelmingly agree state’s decisions should be left alone by the crooks in Columbia’s tarnished District, but what about all those other ignored loose ends? Will employers still hold criminal convictions and urine analysis against Americans’ right to choose what they put in their body? Searching for work in the dawning digital era involves screens, anonymous email address & HR departments trying to make sure they don’t have to work through any of the difficulties caused by human interaction. A stuttering economy and millions of displaced workers is an employer’s dream. The chance to meet someone in person is increasingly rare. 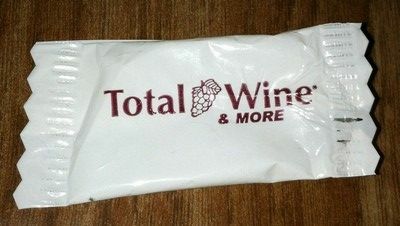 Enter Total Wine & More. Opening a new store in Vancouver, Washington necessitated new workers. A largely capitalized craigslist post with no mention of background criteria in the ad or on their adjoining website advertised two days of open interviews. 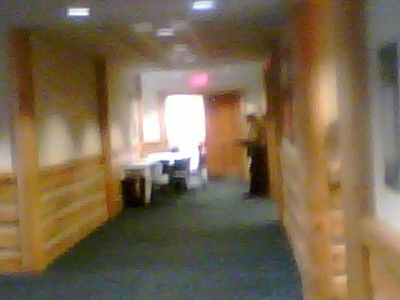 The Sacajawea Room of the Heathman Lodge, a beautiful rendition of centuries past in the midst of modern sprawlburbia, served as a makeshift headquarters. Arrival found a line waiting to be seen beside two tables and a pile of blank applications. A few hopefuls scribbled their life story in short with the provided utensils. A half open doorway loomed at line’s end. A glance at the application confirmed the inevitable. A long notice about how they don’t discriminate before mentioning their “drug free workplace“. A little confusing considering the fact that they hustle liters of alcohol as a business plan. The second portion involved the typical question about a criminal record just below the name with the disclaimer that a record does not necessarily prevent employment. Feet turned to start walking back toward the door before remembering that marijuana is no longer illegal in the state of Washington. Would a misdemeanor conviction for something that is no longer prohibited matter? Time to investigate gumshoe. Filled out the paperwork on a much nicer leather couch down the hall before patiently waiting almost an hour to be seen. Two white people, a man and a woman, manned the stations, accepting interviewees in the order of their arrival. Murmurs drifted through the half open double door. Those judged worthy of employment were immediately seated to fill out paperwork. The others found unacceptable were quickly shown the door. A smiling face named Erica shook my hand, accepted the application and offered a seat. Three pens scribbled across paper as another interview worked itself out a dozen feet away. The normal chitchat about background and why someone should exchange their money for time ensued before she quickly worked to the expected response. “It seems like you have a lot of experience, but with our background check policy it will be difficult to hire you,” smiled. Ensuing about their policies in regards to state legislation brought something a little less practiced. All in all the witch hunt continues. Although the people of the state of Washington voted to legalize marijuana, for Total Wine & More, and certainly many other companies as they wait and see before reacting, a sixth month old piece of state legislation did not trump eight decades of legalized fear mongering and terrorism. The interview of the interviewer continued a few more moments before she promised to at least ask about hiring at our parting. A request to be more upfront in their ads brought a forced smile. Strolled back down the hall past salmon fighting upstream after yet another dismal defeat. Facing discrimination & continually being told you’re not good enough, that the rest of your life is a worthless lie, that your entire character is wrapped up in a few stilted words tends to drag a person down after awhile. Outside the world buzzed on, oblivious as always and it was only midday. The endless possibilities stretched off into afternoon. Across a nation struggling to find an identity the drug war launched by embattled Republicans wages on to the tune of $7 billion+ a year. The discrimination faced after conviction is something thousands of American citizens struggle to reconcile daily. Many return to crime once it becomes clear there’s little hope of any other life, others give up & the rest of the nation ignores as they guzzle coffee & booze, huff nicotine and down chemical concoctions a pharmaceutical company actively marketed. Elsewhere, a short drive home before more job applications. One iota of a statistic still searching for a chance at something better. For many others the questions remain. How much longer will their life be destroyed? Will they ever be able to move on? As voters decide something that’s never been dangerous should be relegalized (as it was for the majority of this nation’s history) the questions of what to do with the drug war’s casualties will linger. Until a nation that travels the world murdering in freedom’s name decides to allow its citizens the same autonomy our ideals will exist only in word. The time is now to end a society built on judgment & fear. 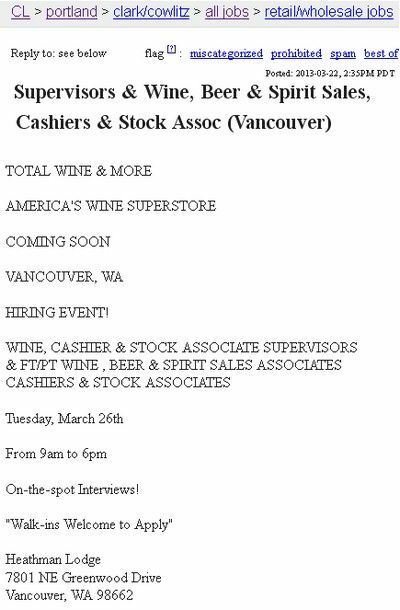 This entry was posted in Action News, Actual News, I was there, Politickle, Ramblings and tagged 'merica, adventures in craigslist, booze, criminality, drug war, not that vancouver, reform, total wine & more, witch hunt. Bookmark the permalink.